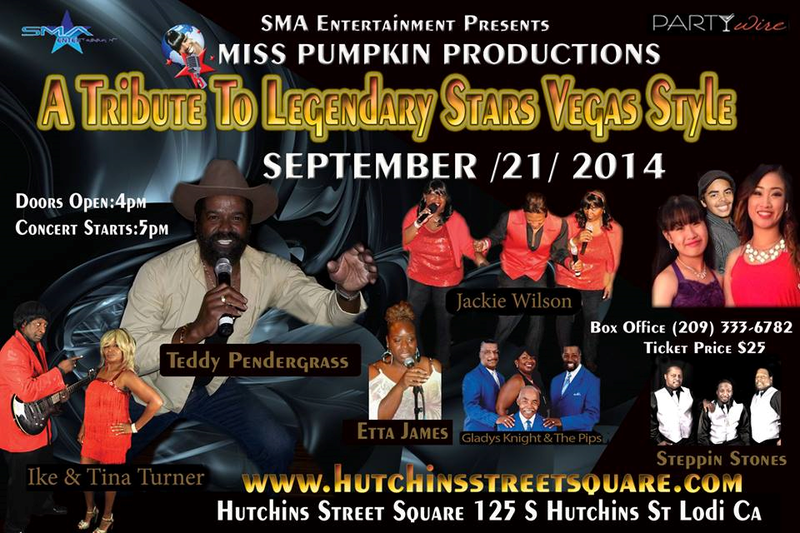 A Tribute to Legendary Stars” is a music tribute show featuring the sounds of legends Vegas style with acts such as Ike & Tina Turner, Gladys Knight & Pips, Etta James, Jackie Wilson, Stepp’in Stones, and Teddy Pendergrass. Come and bring back your best memories from the past. Presented by SMA Entertainment LLC. (Leaders in Live Entertainment). A Miss Pumpkin Production.